Riddell Kurczaba (“RK”) is proud to announce that, effective immediately, the RK Edmonton operations will be helmed by Tracy Froland. 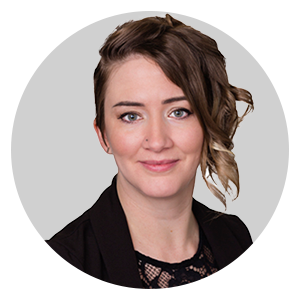 Tracy is a senior member of the RK team whose demonstrated skill and leadership on projects and marketing initiatives will uphold and expand RK’s reputation as one of the foremost design consultancies in western Canada. Her solid design and technical background has contributed to both architectural and interior design achievements in the region, and her passionate and personable nature will continue to leave positive impressions on our clients and communities, as well as the fabric of RK’s organizational culture. Riddell Kurczaba looks forward to introducing Tracy to all clients served by the RK Edmonton office in the upcoming weeks. Tracy assumes the leadership of the RK Edmonton operations from Mike Sczesny, who will be leaving the organization for personal reasons. Mike will support Tracy during a brief period of transition of responsibilities. Riddell Kurczaba thanks Mike for his service and wishes him the best in his future endeavors. Any questions regarding this announcement can be directed to Ron Kurczaba, Chief Executive Officer of Riddell Kurczaba, at 403-607-1953.